Underwood offers handmade luxury wooden watch boxes for men with three exclusive collections: Briarwood Veneer, Black Lacquer, and Maple Wood Veneer. 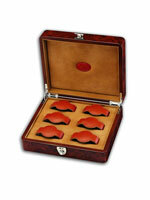 Exquisite, beautiful, and top quality these are the best wooden watch storage cases for men available. 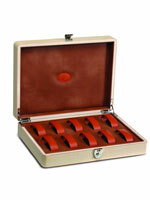 Underwood specializes in wooden watch cases for men. These exclusive handcrafted wood watch cases are elegant watch collector boxes that also beautifully decorate the room as they store their expensive watches. 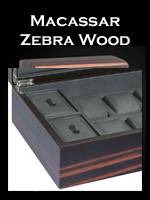 Handcrafted in expensive hardwood veneers and lined with microfiber interiors, handmade Underwood wood watch cases are world class luxury watch storage boxes for protecting the watches of passionate collectors or those wearing fine luxury watches. Underwood wooden watch cases are handmade by the finest Italian artisans using expensive wooden veneers to create beautiful luxury objects. 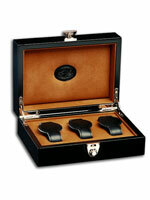 These expensive wooden watch cases can be custom manufactured to your specifications using materials you request. Contact us for the details on getting an expensive wooden watch storage cases for your fine luxury watches crafted as you desire.